Below are a list of sale rabbits that we currently have available for purchase. Don't forget to take a look at our Nursery to see the litters we have in the nest box as well as our upcoming litters. We offer 4H discounts on all 4H project purchases. Please contact us or click here to complete our 4H Discount Form. RESERVE YOUR EASTER BUNNY TODAY! SEE OUR NURSERY FOR MORE INFORMATION! 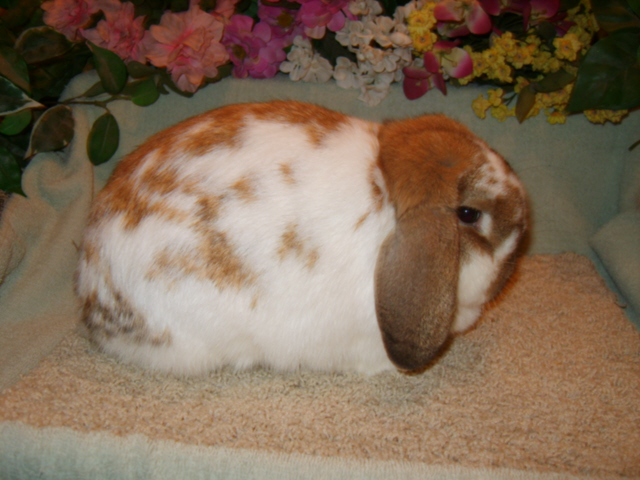 Looking for Holland Lops or Netherland Dwarfs? Please see our Nursery for upcoming litters and be sure to add your name to our waiting list if you find a litter that you are interested in! SHIPPING MAY BE AVAILABLE AT SELLER DISCRETION... WE ARE USUALLY ALWAYS ABLE TO ARRANGE TO HAVE THEM DELIVERED TO A LOCAL SHOW. 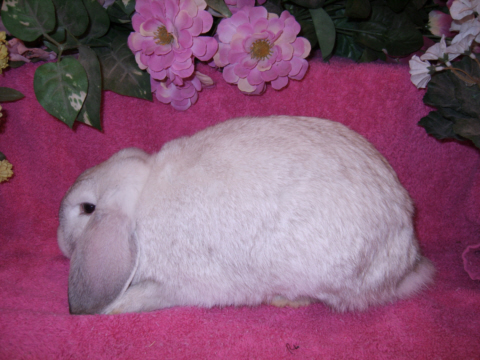 ALL RABBITS WILL COME WITH PEDIGREES UNLESS OTHERWISE SPECIFIED AT TIME OF SALE. Buyer has 15 days from date of sale or receipt of deposit to pick their rabbits up unless prior arrangements have been made and authorized by seller to keep the rabbits longer. Buyer has 48 hours to check their rabbit and if it becomes ill or dies, I will replace the rabbit with another rabbit of equal value. I will not board a rabbit longer then 15 days unless other arrangements have been made by buyer and authorized by seller prior to time of sale; some exceptions may apply with agreement between seller and the buyer. Boarding fees will apply. A 50% non-refundable deposit is required on ALL sale rabbits. Deposits are required to be in hand within 72 hours before we can place the rabbit in "Hold" status, anything prior to 72 hours will be considered pending.